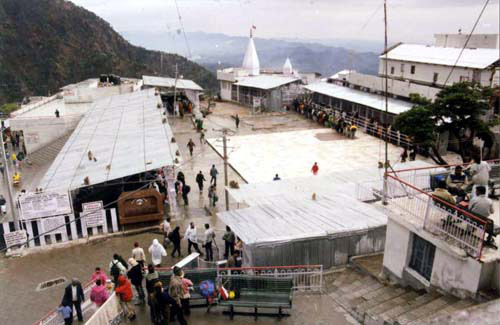 Are You a Devotee of Vaishno Mata? 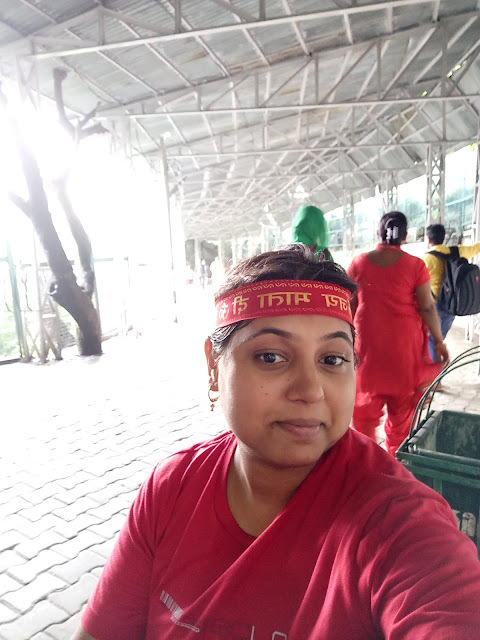 I am big devotee of Durga Maa.. recently, I have visited Vaishno Mata with my husband. It was amazing trip and we had a lot of experiences while travelling together as it was our first time of traveling together. We only had two days(weekend i.e. Staurday & Sunday) and we planned a small trip in this. It was a cheap and best trip, I ever had because we have not taken any help from any travel agent. 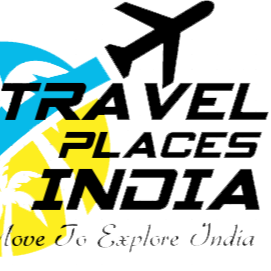 If you are living in Delhi, you can also plan such kind of tours for your own very easily. As we were having only two days to complete the trip, so we started our journey in night on friday and booked the train tickets from Delhi to Jammu. We took the train the night by 10:20 PM after office. We booked a super fast train which took around 9 hours of ours to reach to the Jammu from Delhi. There are a lot of trains which you can book from Delhi. Keep the food stuffs with you because some of trains do not have the proper panetry options. We reached around 7:30 AM at jammu, by enjoying whole night talking with each other and sleeping. 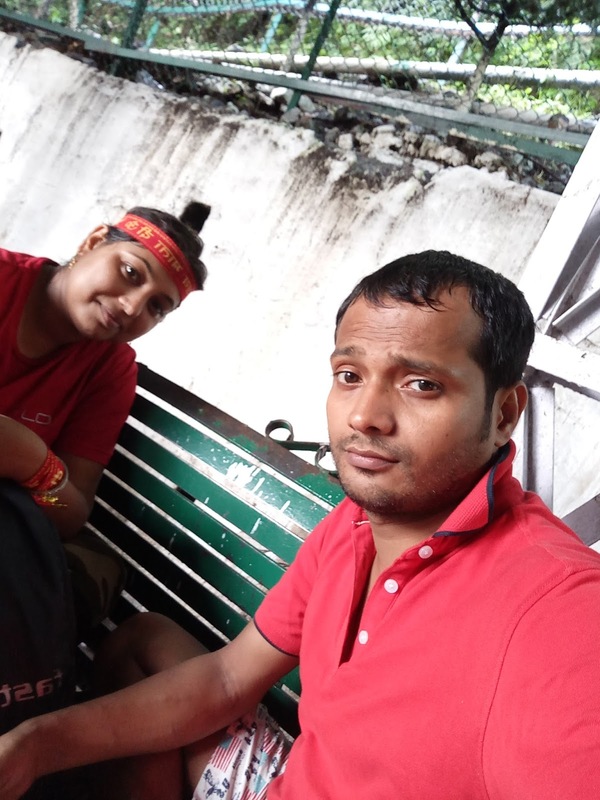 After get down from train we got relaxed and had some tea or snacks and took the bus from Jammu To Katra. 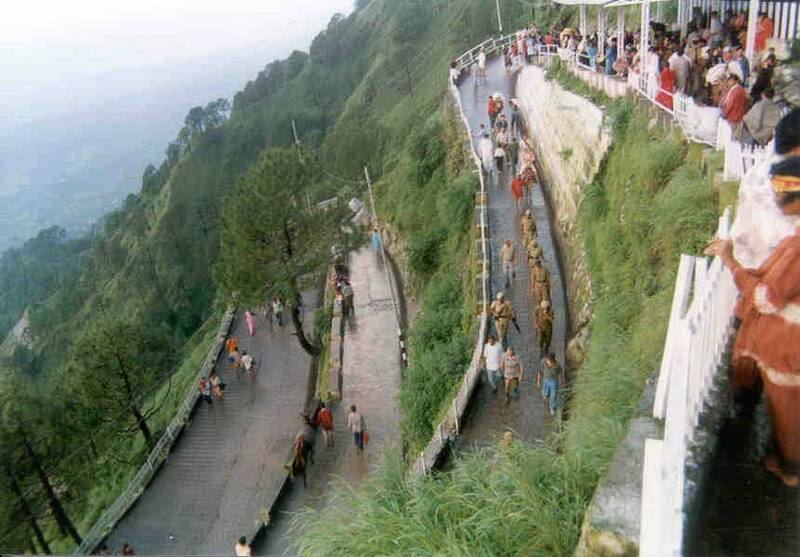 Katra is 45 Km ahead from Jammu and this is place from where you can start your journey to Vaishno Mata Bhawan. It takes around 2 hours us to reached there. Bus will take one small stoppage of 20 minutes in this short journey. 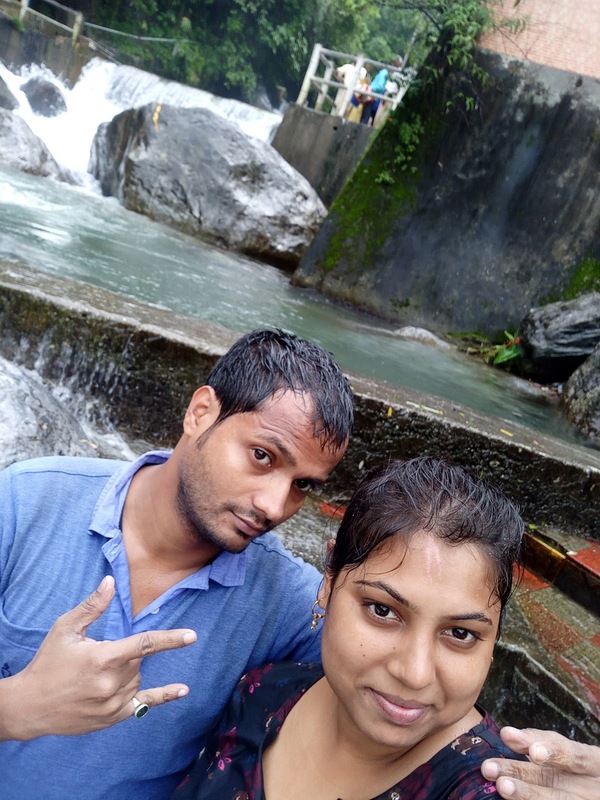 If you are planning to visit Vaishno Mata in August or near by July, then you will have to face a huge raining there so keep your bad waterproof and keep all the things like(Phone, Money, Clothes, camera etc.) in the poly bag, just to keep them safe from Rain. 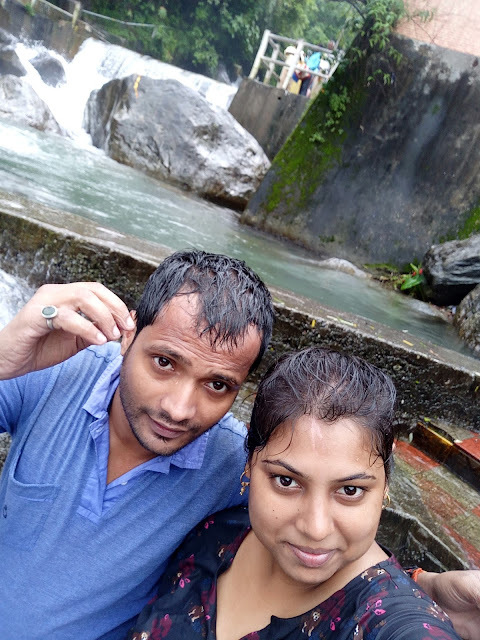 As we were not having a water proof bag so we bought one from the katra market. 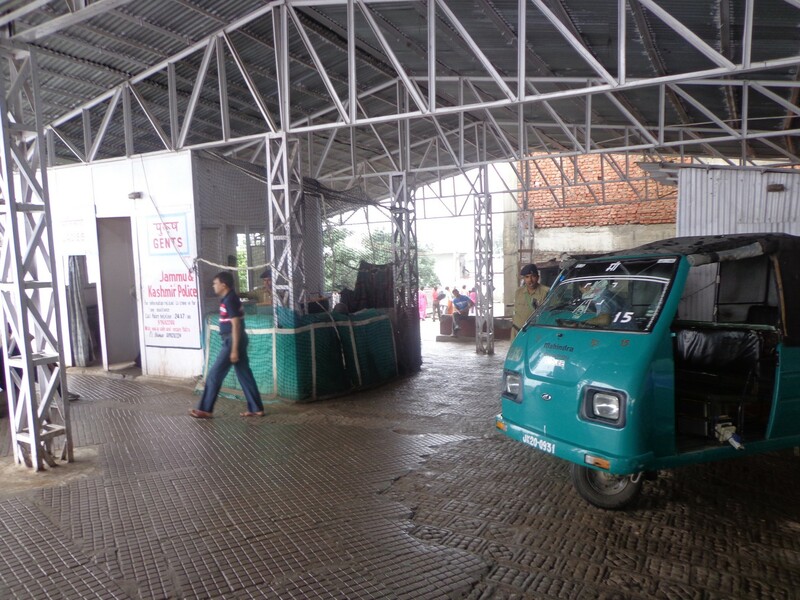 After reaching to Katra, we started after journey to Vaishno Mata Bhawan which is 14KM ahead from Katra. There is Ganga river at 15.KM ahead from Katra. 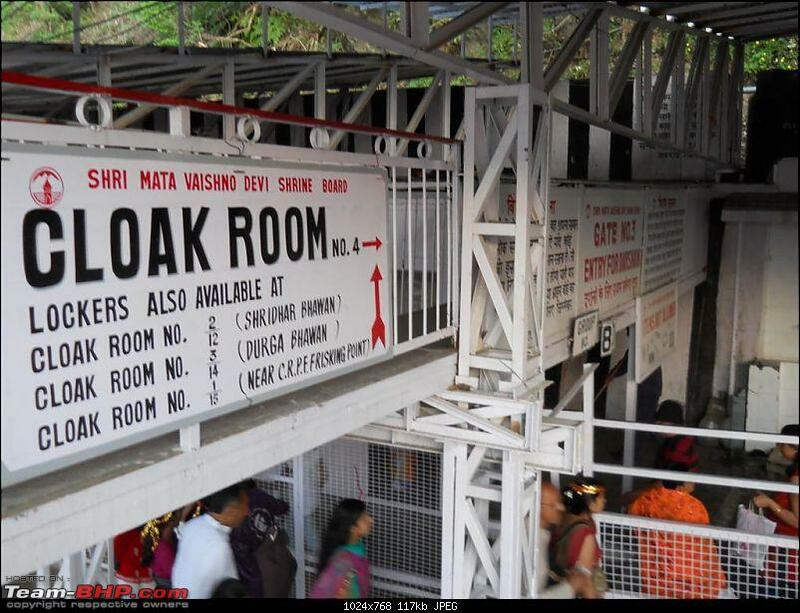 It is very famous and people who are going to Vaishno Mata, must come there to take a small bath. 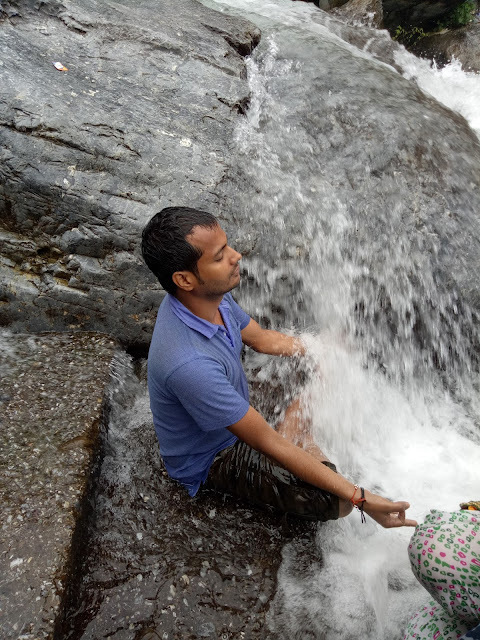 We Went there and spend around 20-30 minutes in taking the bath and enjoy the feel of Ganga River. Near by Baan Ganga bathing place, there is big Stall of langer (free food for all Devotee) sponsored by Gulshan Kumar since too long. 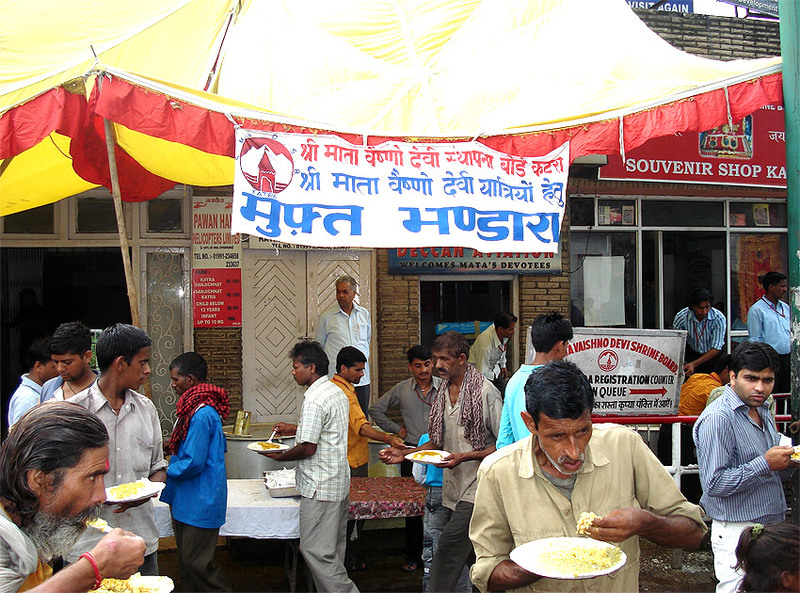 We enjoyed the food there and started our journey to Mata Bhawan. We started our walking journey at 1 PM from Baan Ganga and we covered the half distance i.e. 7.5 Km in just 2 hours. Yes! we do took some small breaks of snacks, maggi and all in this distance and finally we reached to Ardh kunwari by 3 PM. 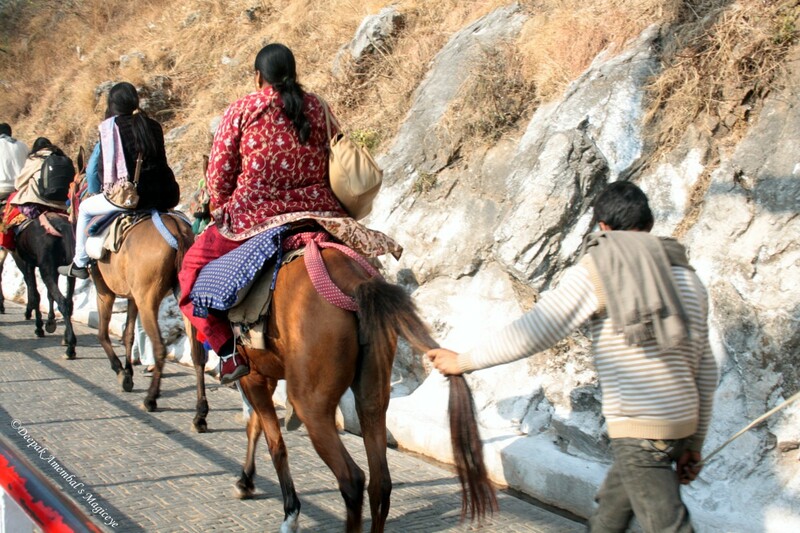 There are a lot of other options like (Horse Riding, Palki, Halicoptar etc. )to cover the distance if you are not able to walk or handicapped or having some other issue. 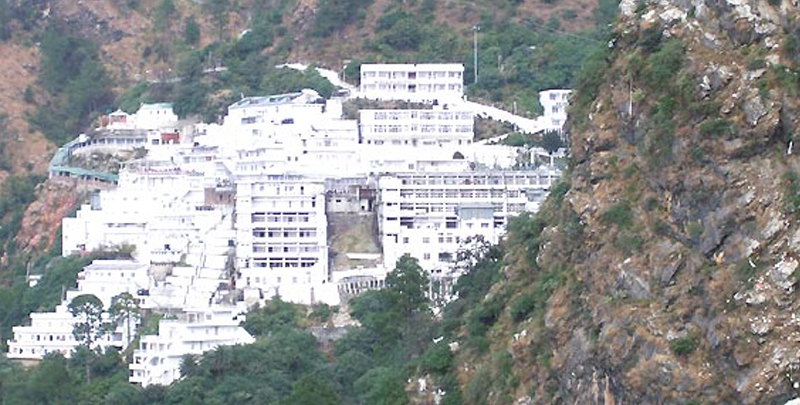 There is big change which government has done at Vaishno Devi. 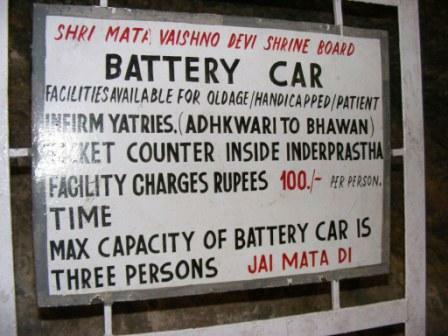 Now there are a lot of Battery Auto available from Ardh kunwari to Mata Bhawan in just 300/per person. 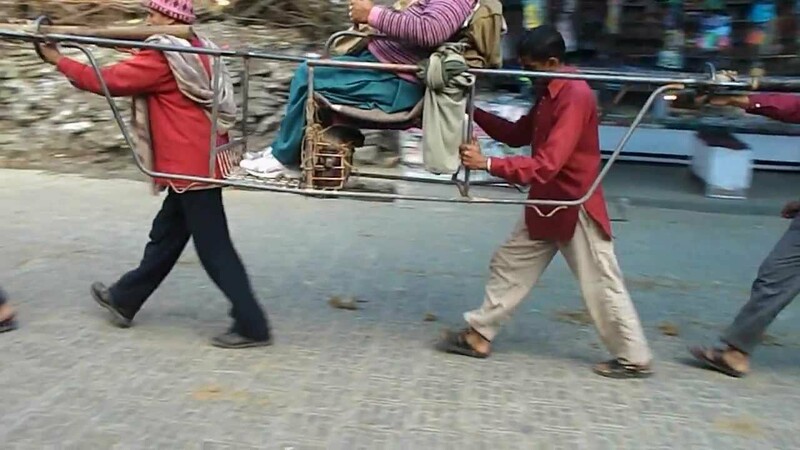 If you are not able to walk more so you can hire that. 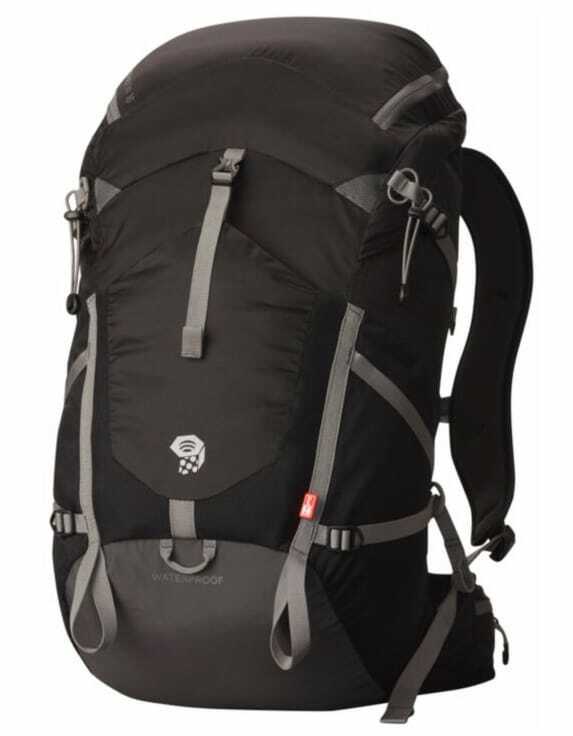 This is quite good and affordable. This is another big and good arrangment which our goverment has done. 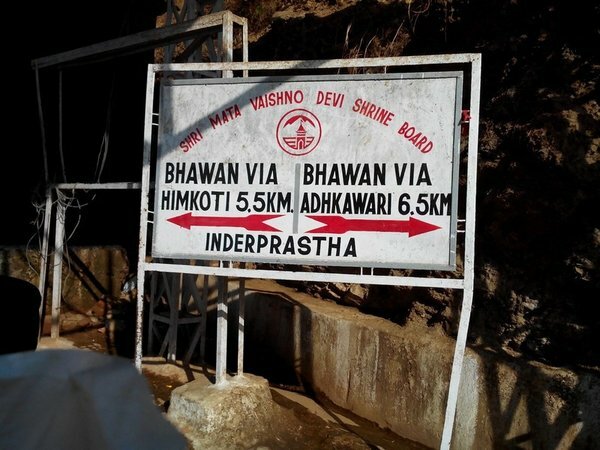 We took new way of Himkoti because that is 1KM less and very easy & plane to ride on. You can choose either way you want to go through. Since too long we were just walking walking and walking so we planned to had something. 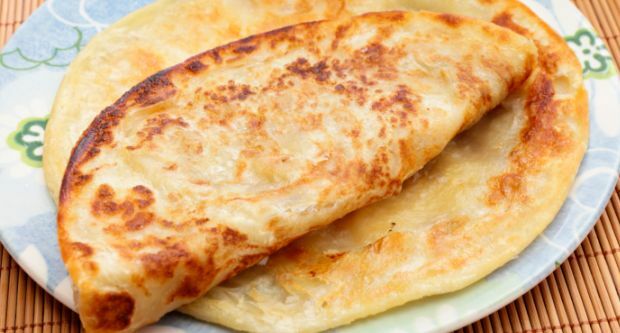 There are lot of Government resturents here in which you can find good and tasty food at low cost. We had tea, sandwitches & south Indian food there and it was just amazing. We spent around 30-40 minutes there in taking food and just to get relaxed. 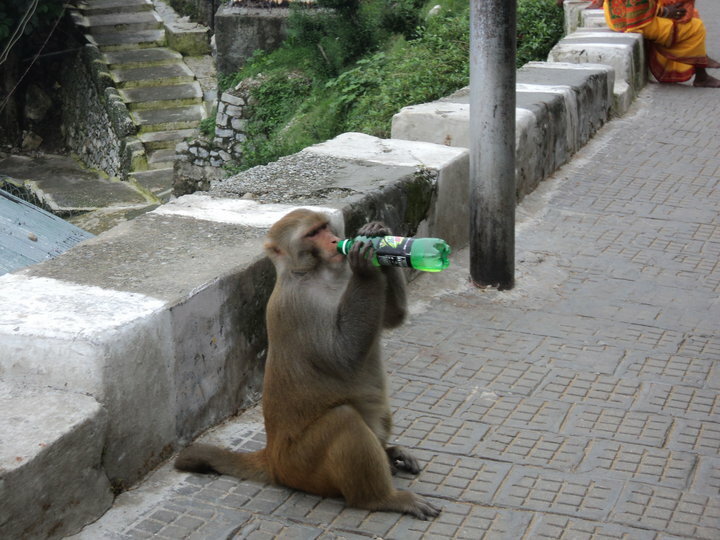 You will find a lot of monkey in this way, so keep your food things safe from them. After completing the lunch we again start our walking journey and reached to the bhawan by 6 PM in the evening. 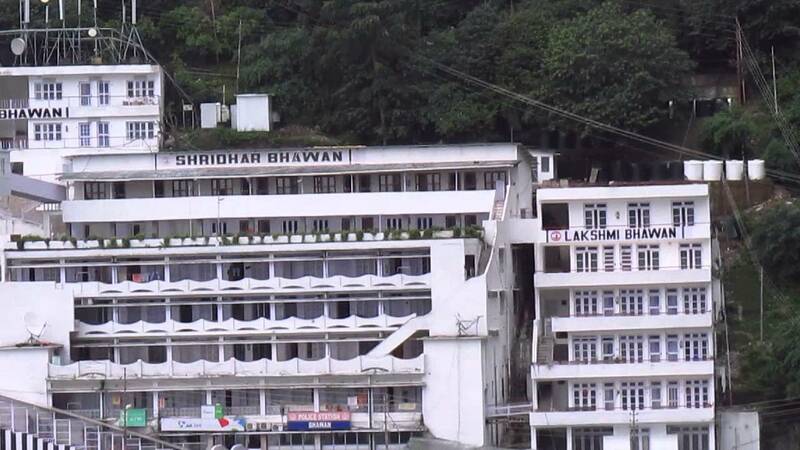 You can not take any thing to the bhawan including: purse, belt, mobile, camera, clothes etc. Only thing which you can take with you is Parshad, so we hired a locker in which we kept all are things safely. 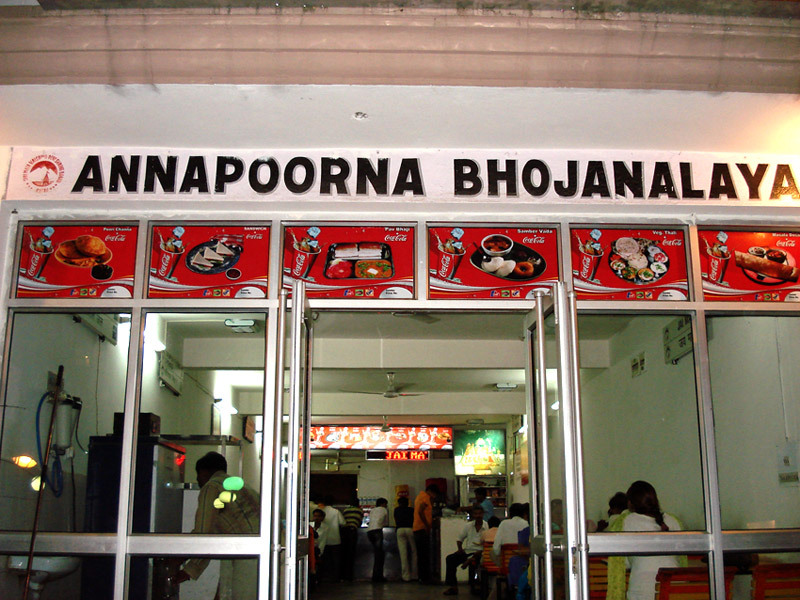 There are a lot of restaurant opened at bhawan. Now Sagar Ratna is also there now you can enjoy the indian food at bhawan from big brands also. We took aloo parantha in Sagar Ratna. 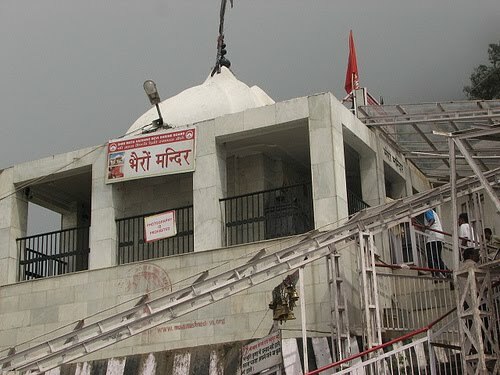 6:30 Pm is time of aarti, so all the gates closed at that time and opened by 9PM after completing the Aarti, so we had to wait a lot for Mata Darshan. We will suggest you to reach by 5:30 PM if you do not wanna wait such long. 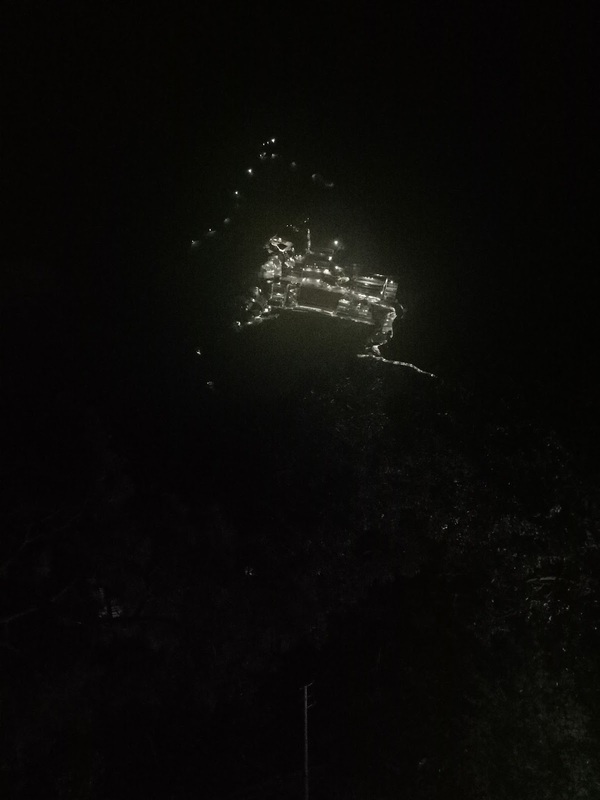 There were a huge line of darshan due to this Aarti session so Our chance came by 12AM in the mid night. We started Bhairo Nath riding my 1AM in the night and reached by 2PM there and completed our Journey. 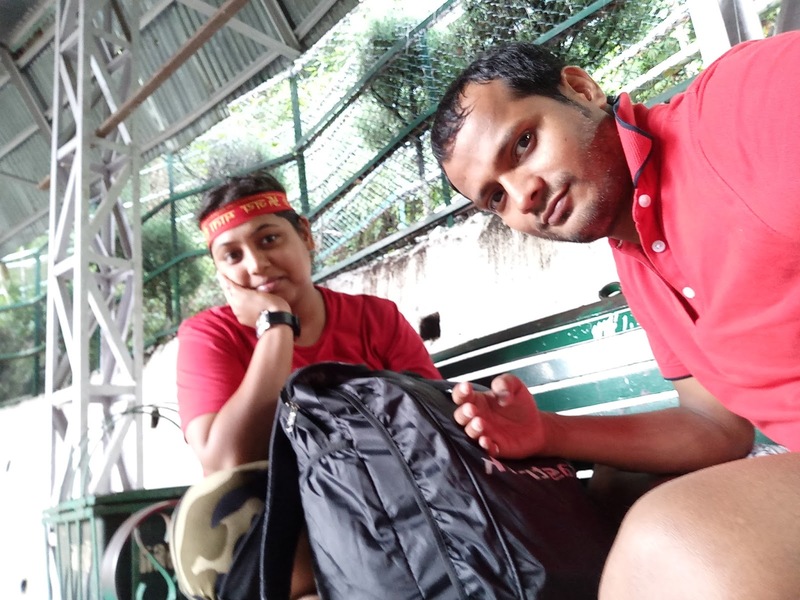 We came back to Sanjhi Chatt from Bhairo Nath and decided to take rest for some hours due to get fatigue so we took a room and slept around 6 hours there. A lot a room available at Sanjhi chatt to stay on at affordable rates. We started our return journey in the morning by 11Am after getting fresh and taking breakfast. We reached katra by 3PM in noon and took the bus from Katra to Jammu as our returning train timings was 7PM in evening from Jammu to Delhi. We had our dinner at railway station of Jammu and took the train from Jammu to Delhi. Reached Delhi by 5AM in the monday morning. 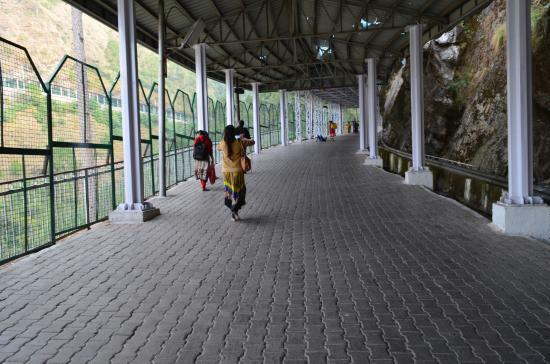 So you can plan your Vaishno Mata Journey in just 2 days from Delhi. It is very simple and easy to go..